If you’re among the thousands of Texans suffering from allergies, you’re not alone. At The Allergy and Asthma Center of Corpus Christi, our certified physicians have undergone extensive training in the field of allergy-related illnesses and innovative treatments. While mild allergy symptoms can sometimes be controlled with over-the-counter medications, our allergists specialize in finding the root cause of your allergies so you can live an allergy-free life. While there are hundreds of substances that can trigger allergic reactions including plant pollen, mold and pets, our allergy and asthma specialists have the skills and experience necessary to properly diagnose and effectively treat your allergies. Also known as hay fever, allergic rhinitis is the general term used to describe allergic reactions that take place in the nose. When this condition persists year-round, it could be caused by exposure to indoor molds, pet dander and dust mites. Symptoms of this condition can include sneezing, runny nose, congestion and itching of the eyes. Asthma attacks occur when airway muscle spasms block the airflow to your lungs or the lining of your bronchial tubes becomes inflamed. Most often characterized by labored or restricted breathing, asthma attacks can range from mild discomfort to life-threatening attacks. Some common symptoms of asthma include coughing, wheezing and a tight feeling in your chest. Skin conditions such as contact dermatitis, eczema and hives are often caused by external allergens and other irritants. Some common causes of skin irritation can include medicines, animals, bug bites, insect stings and harsh chemicals. 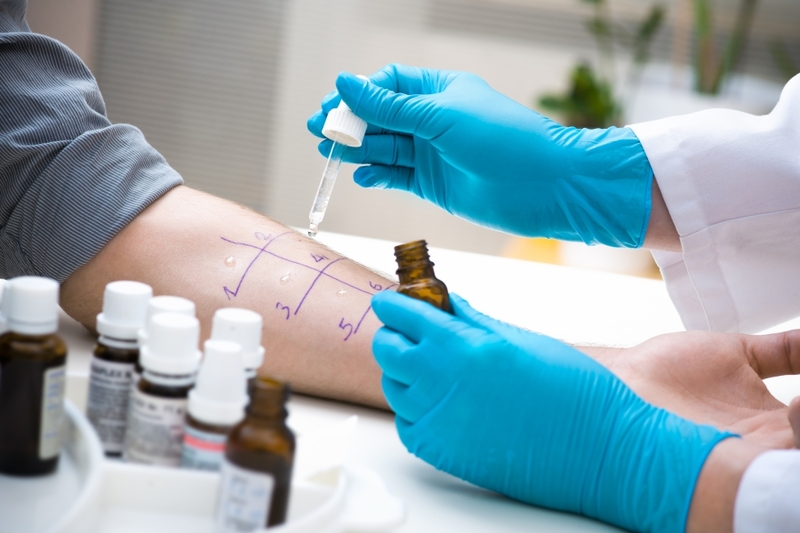 We offer allergy injections for immediate allergy relief at our clinic in Corpus Christi. Schedule your next allergy shot today! If you’ve been suffering from frequent sneezing, wheezing or nasal congestion, the allergists at The Allergy and Asthma Center of Corpus Christi can help. When you visit our state of the art facility, we’ll work with you one on one to gain a thorough understanding of your history before testing for any new allergies. Once our certified physicians have pinpointed the triggers of your condition, we’ll create a personalized treatment plan that will enable you to live a comfortable and allergen-free life.